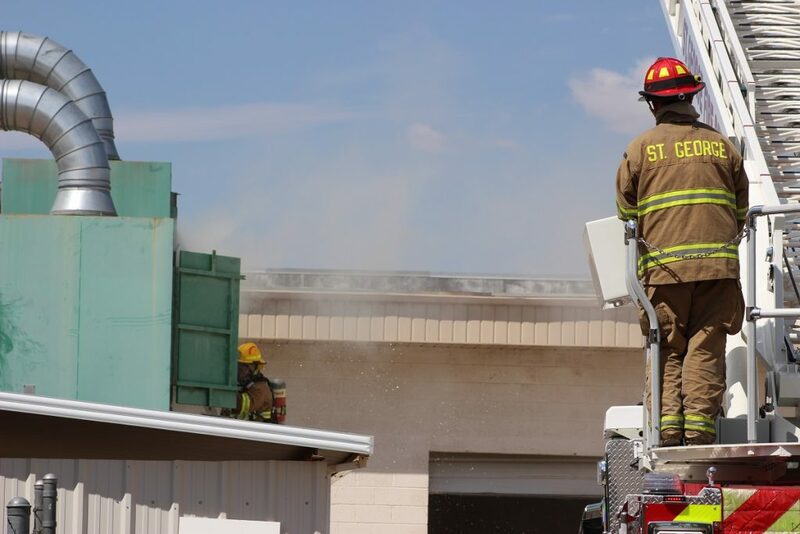 ST. GEORGE — A fire that started in a dust-collection system at a cabinet-building company brought a multi-agency response Thursday as firefighters battled a smoldering blaze that was concealed and difficult to extinguish. Shortly after 11:30 a.m., firefighters and emergency responders were called out to a structure fire reported at Goodwin Mill and Cabinet at 1009 N. 1100 West Street where a piece of equipment on the roof caught fire. 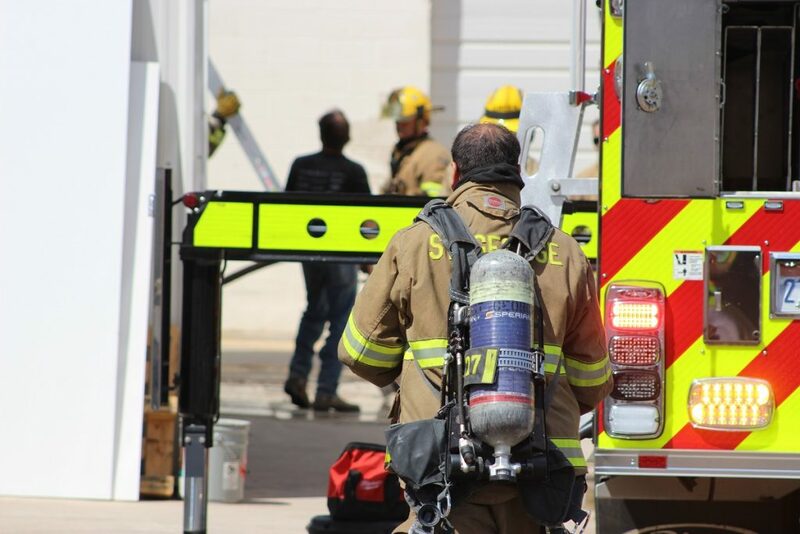 The property owners attempted to extinguish the blaze prior to the fire department’s arrival, however their attempts were unsuccessful as the fire was concealed inside the equipment, Deputy Chief Kevin Taylor of the St. George Fire Department said. Upon arrival, fire crews found smoke coming from the dust-collection system on the roof and discovered flames as they advanced closer to the equipment, he said. “Crews encountered the fire in the dust-collection system outside of the building and in the ductwork inside,” Taylor said. 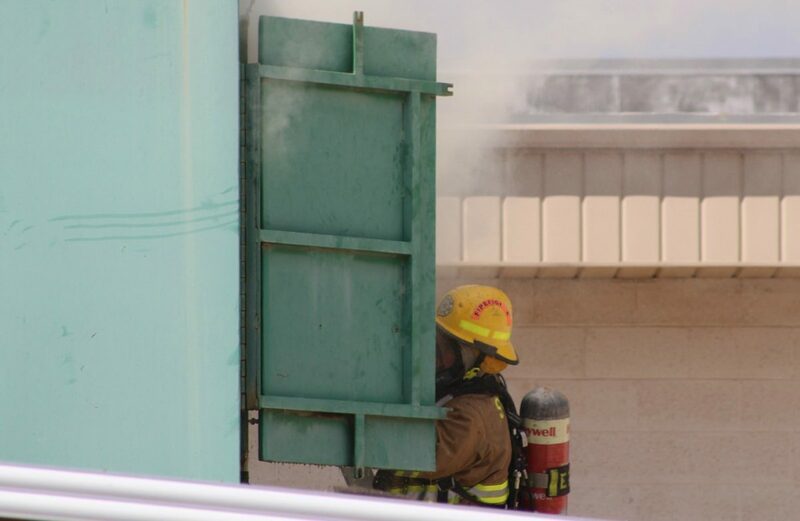 The smoldering fire was contained within the ductwork and surrounding frame but was somewhat concealed, the deputy chief said, so additional time was needed to search out the burning areas that were not readily visible. 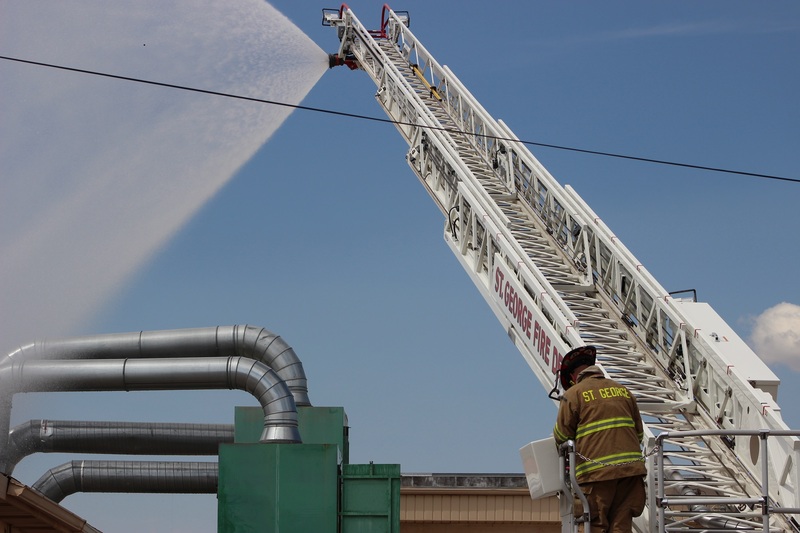 Fire crews sprayed the rooftop equipment and surrounding area using St. George Fire’s Ladder 21, a 100-foot ladder that extinguished the flames. The residual fire made its way into the internal structure of the ventilation system inside of the building, but remained at the smoldering stage when firefighters discovered and extinguished it, Taylor said. 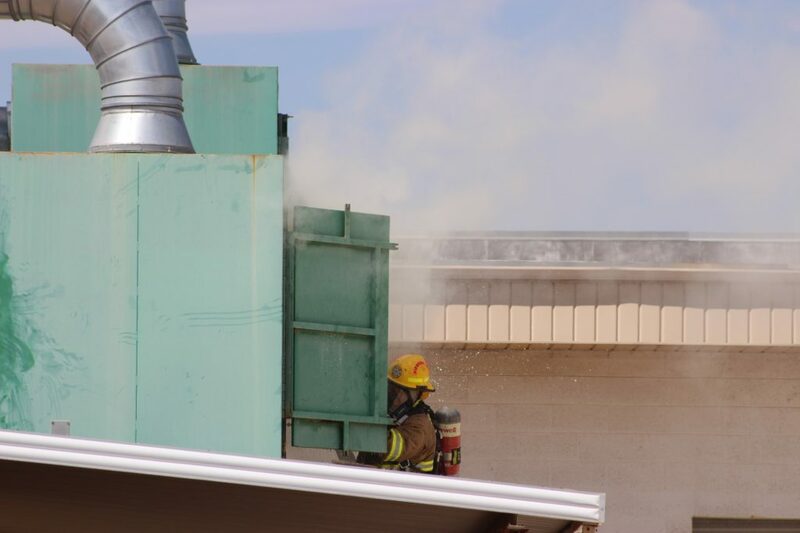 Firefighting efforts were complicated by the large amount of sawdust inside the ductwork and equipment, which, according to one witness, is as flammable as gunpowder. After nearly three hours, any burning embers were extinguished and the building was secured. The damage was confined to the equipment and surrounding ventilation system, but no structural damage was reported. Goodwin Mill and Cabinet has been owned and operated by the Goodwin Family for 67 years. 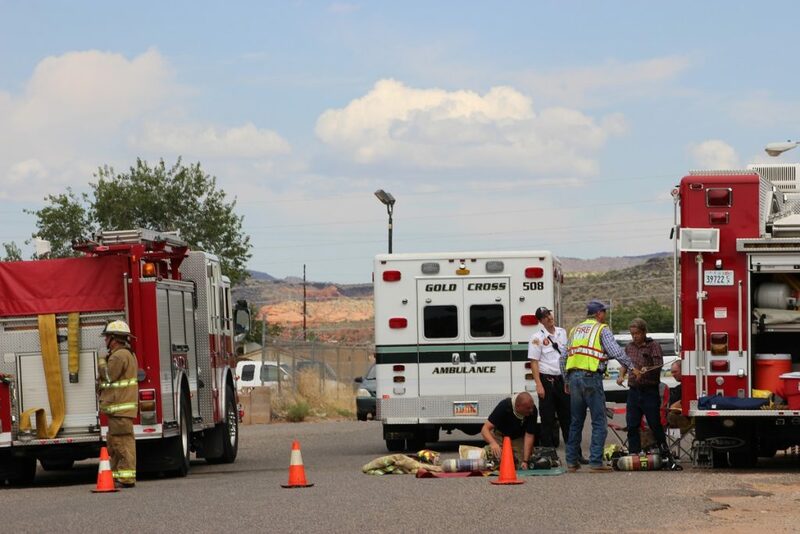 St. George Fire Department responded with four fire engines, two ladder trucks and the squad truck, and was assisted by Santa Clara Fire Department. 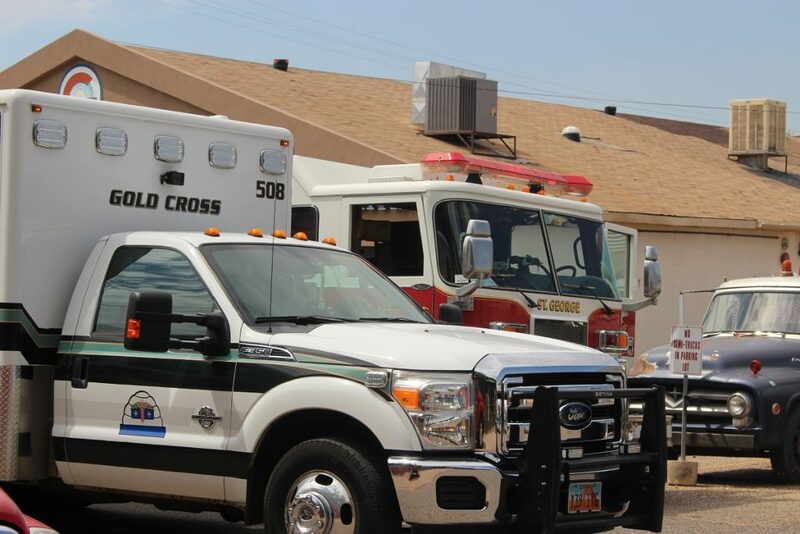 Gold Cross Ambulance also responded and remained on scene to assist. St. George Police officers cordoned off the street.